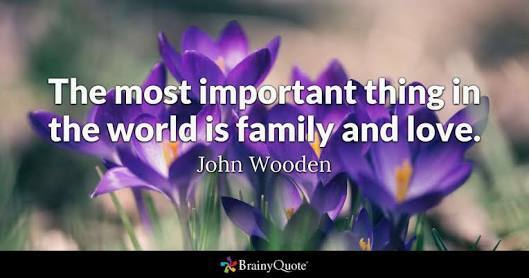 The most important thing in the world is family and love. – John Wooden. Today I’m grateful for family and love. Paranymph – bridesmaid or groomsman. Did you hear about the two spiders who just got engaged? I hear they met on the web. Did you hear about the notebook who married a pencil? She finally found Mr. Write. Why did Comic Sans break up with Times New Roman? He just wasn’t her type. A prefect marriage is just two imperfect people who refuse to give up on each other. You are currently browsing the Homepaddock blog archives for the day Saturday, May 19th, 2018.